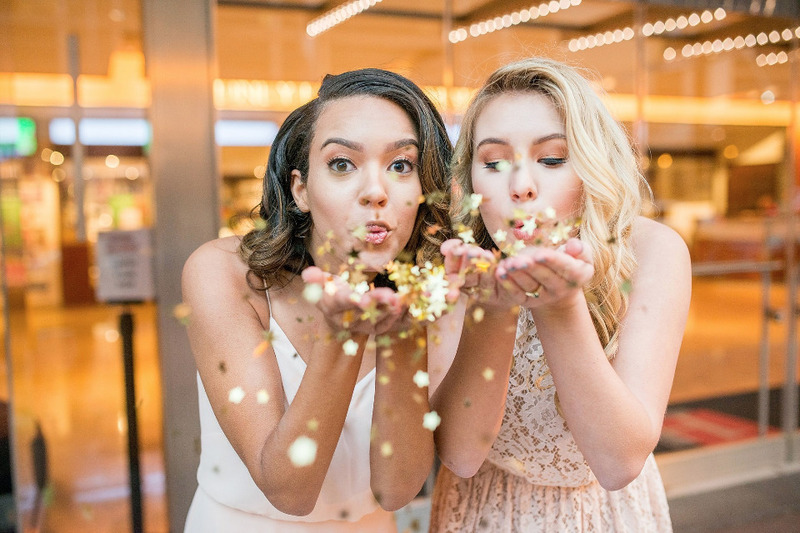 New Years has come and gone but we're still in the mood to party! 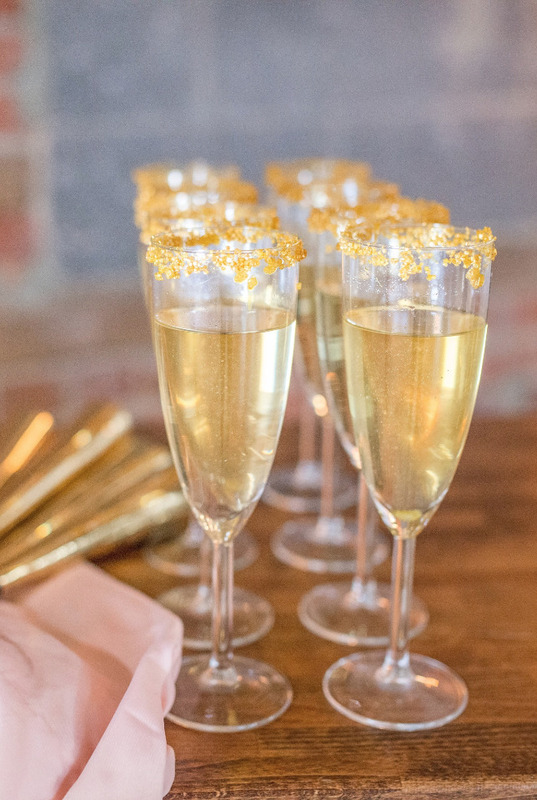 Throw some glitter in the air for this golden NYE inspired shoot, flawlessly photographed by Anna + Mateo! 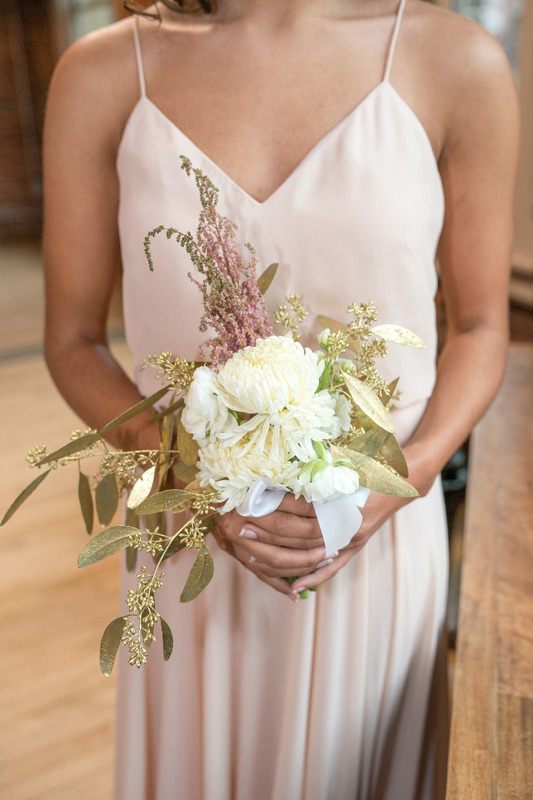 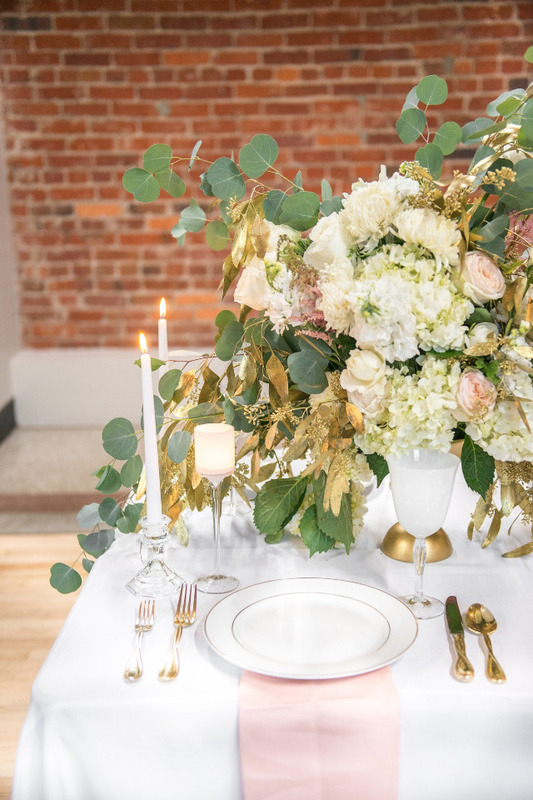 This stunning shoot is an industrial chic winter wedding inspiration with soft touches of glam with hints of gold, relaxed and feminine BHLDN gowns, and gorgeous overgrown florals. 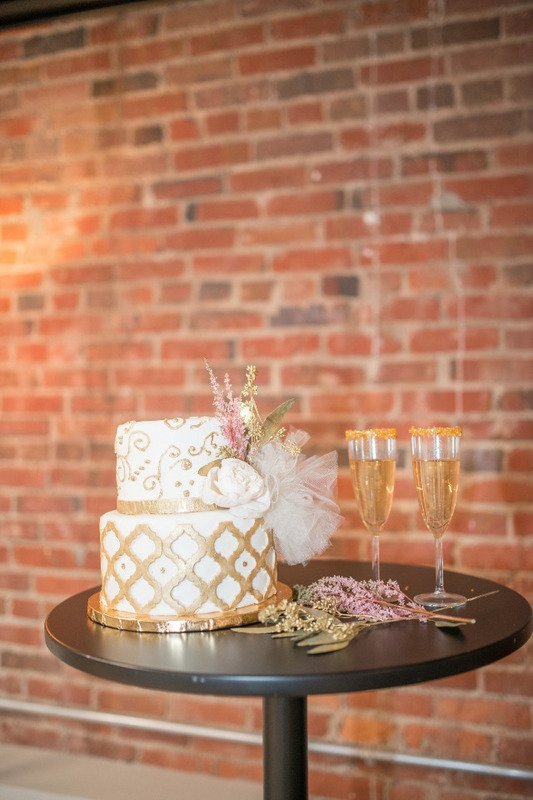 We love that it shows off some of the lively and diverse parts of D.C., particularly The Loft at 600F Street, and the energy of the shoot! 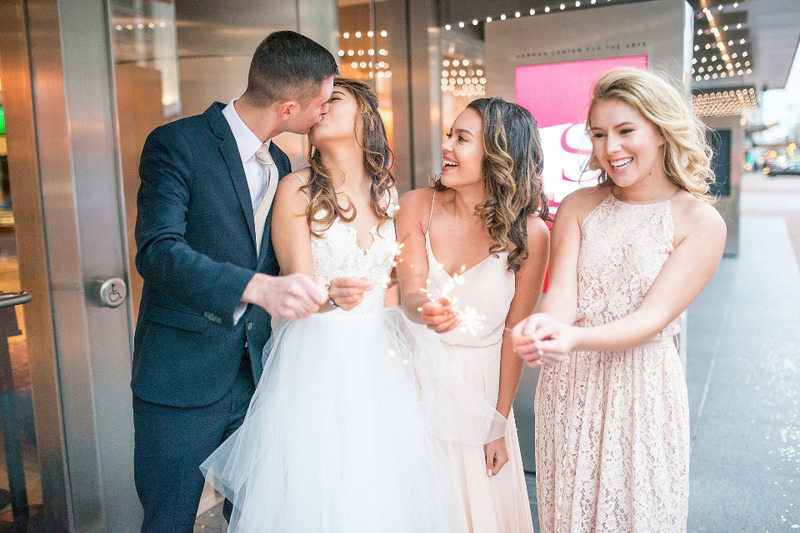 After you see the rest of the details from the full gallery you'll want to kick off your shoes, throw some confetti around and party! 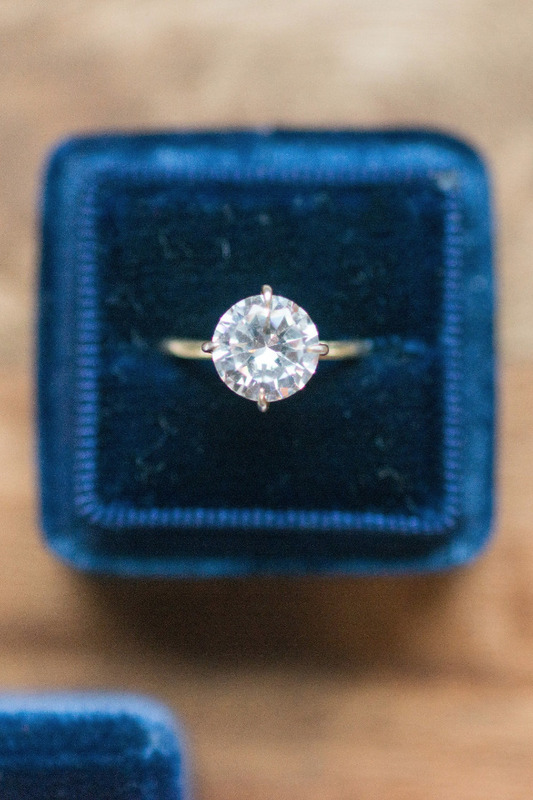 And don't worry, we'll be right there with you. 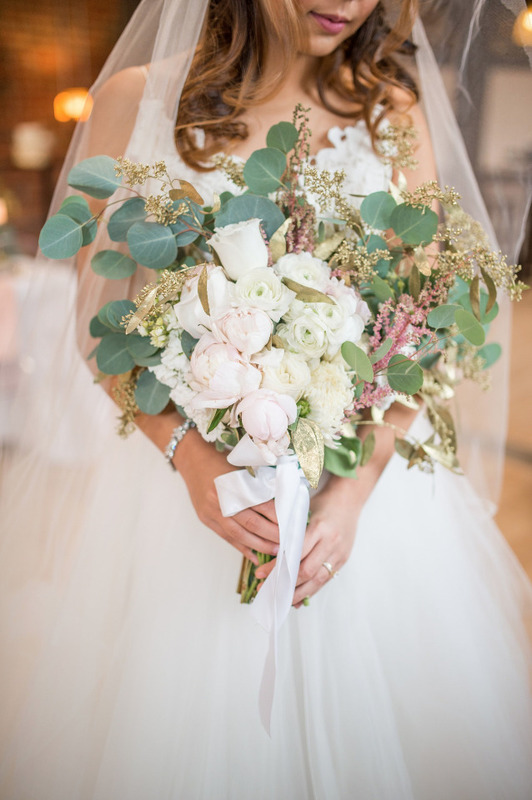 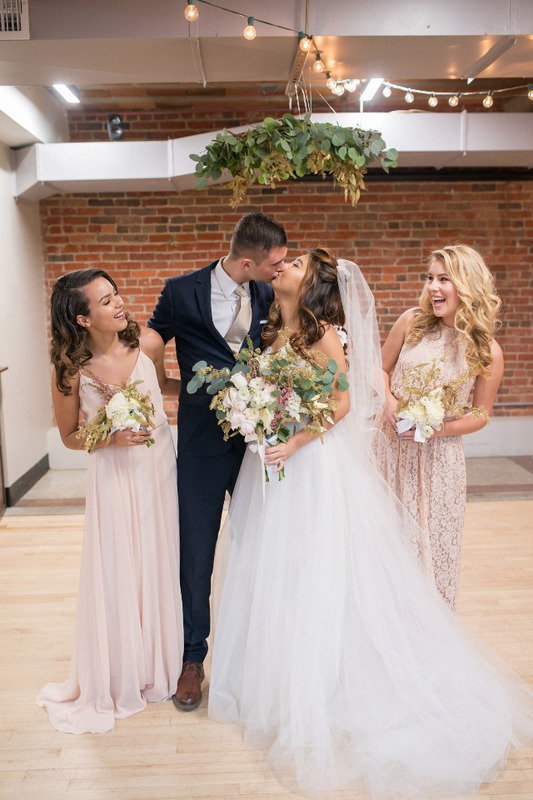 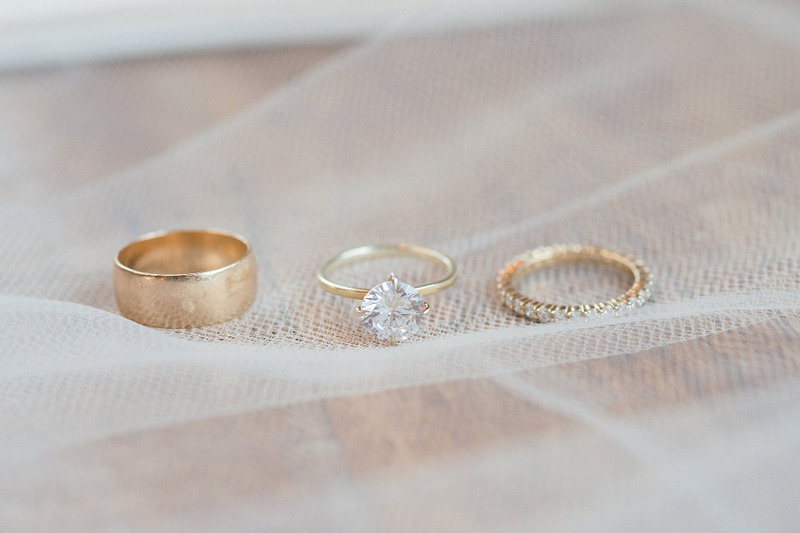 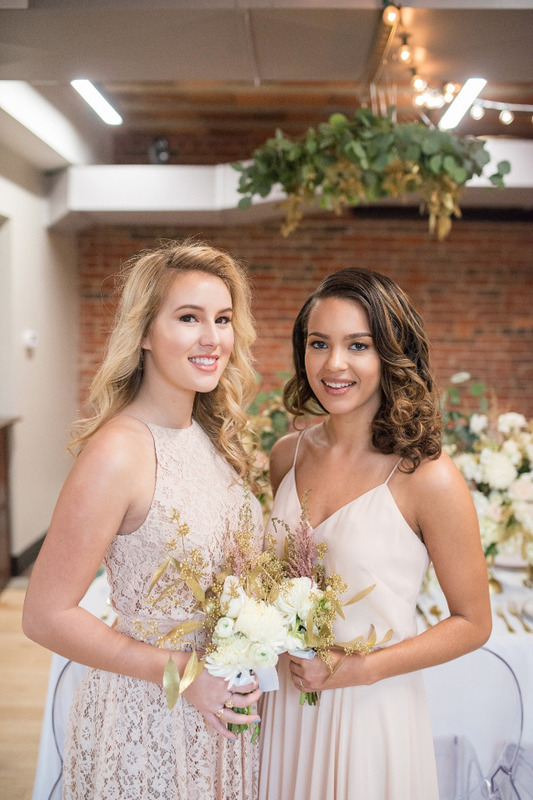 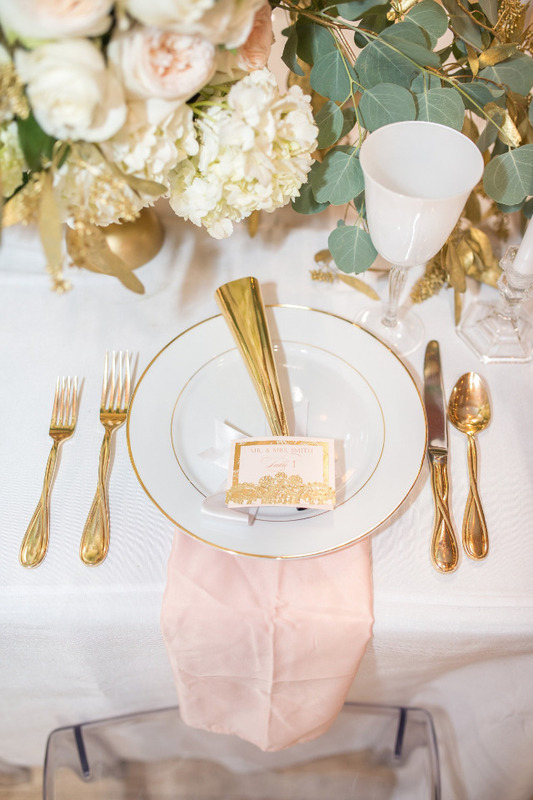 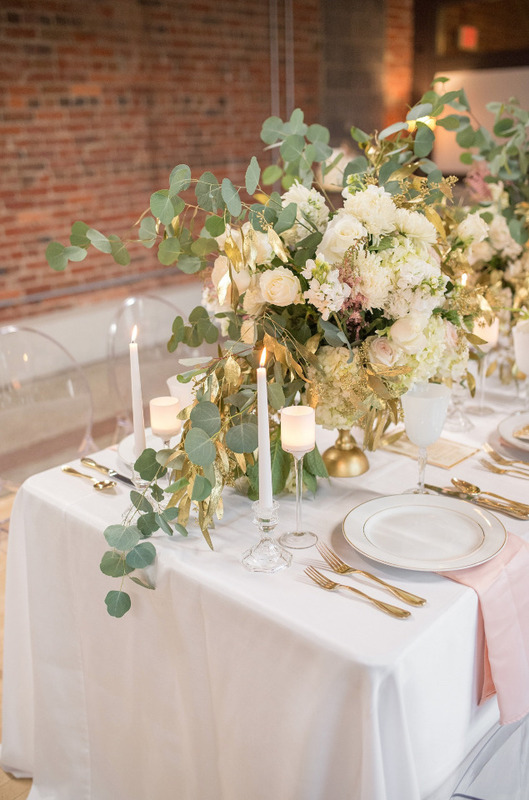 From the vendors: Details we think are particularly inspiring are the touches of gold in the florals matched with the floral lace pattern of the bride's gown, as well as the gold-crusted champagne flutes (perfect for a cheers at midnight! 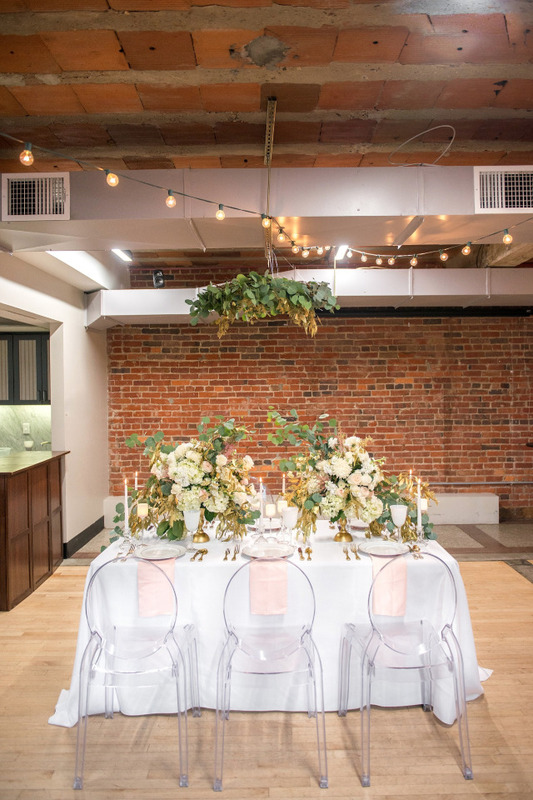 ), and the soft florals juxtaposed with the industrial brick background and ghost chairs. 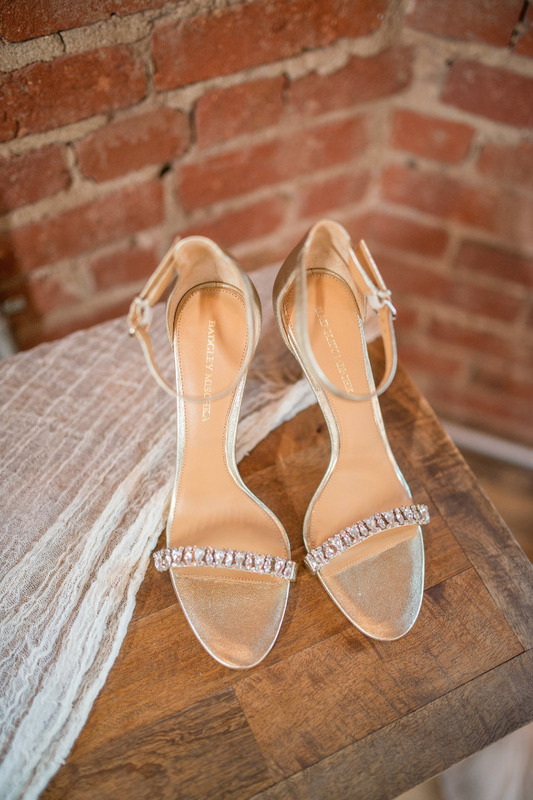 We think the floral wreath really brings the whole design together, and we love the glamorous bridal shoes, paired with the stunning Susie Saltzman rings and letterpress vows books from BHLDN. 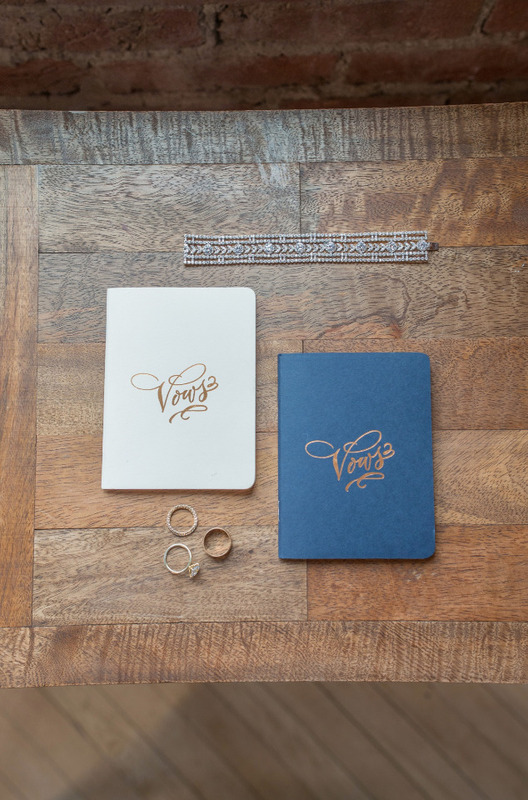 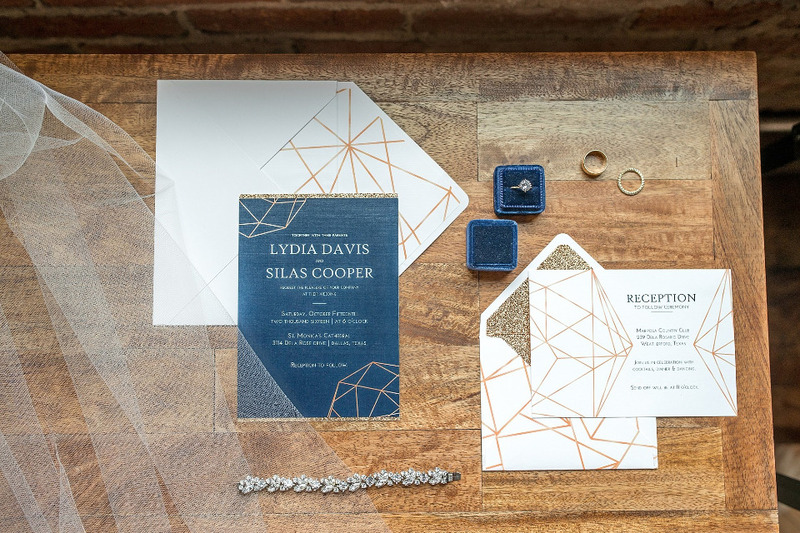 The geometric designs on the invites and cake reflect the lines of the venue to bring some fun, modern vibes. 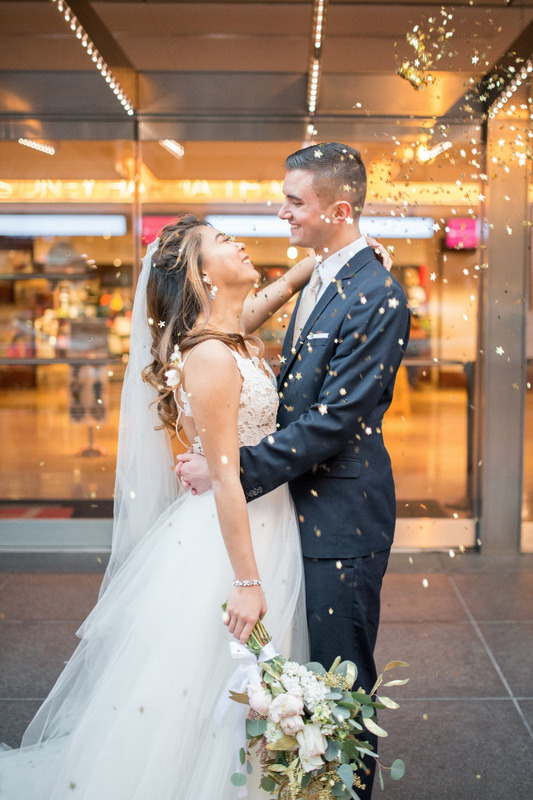 And we really think there's nothing more fun than brides and grooms loving each other in a shower of confetti because really, confetti is always a good idea! 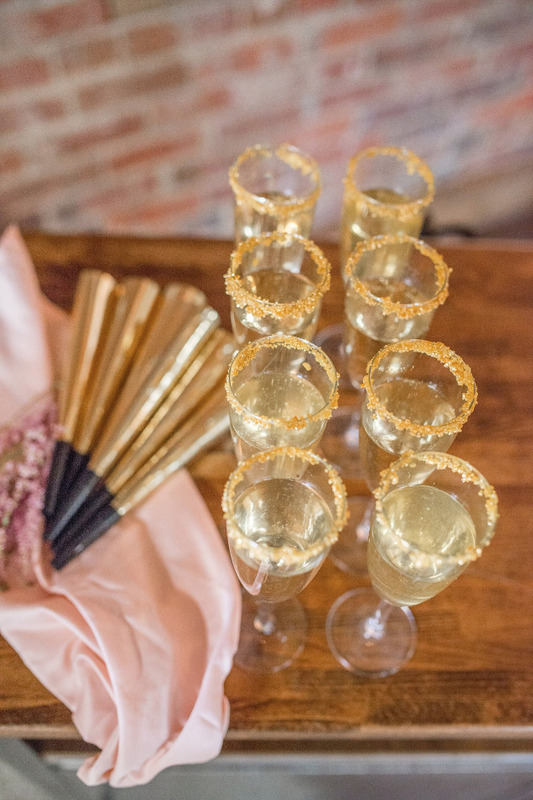 If you love confetti as much as we do, you might also enjoy the confetti bar from this Glitzy Glam New Years Eve Wedding!